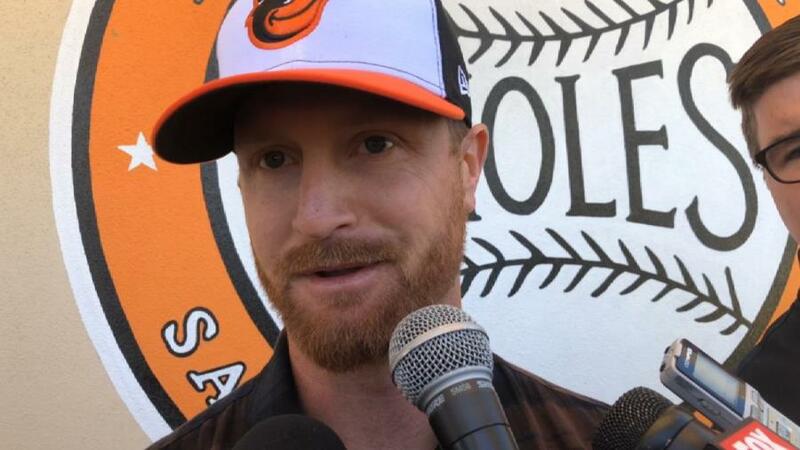 Veteran Alex Cobb remained in the division he knows best as the former starter with the Tampa Bay Rays has agreed the sign a new 4-year contract with the Baltimore Orioles, announced the American League East team on Wednesday. A report says the deal is for $60 million. The right-hander, who is 30, posted career highs for games started, wins and innings pitched in 2017 finishing the season 12-10 with an ERA of 3.66 in 29 starts with Tampa Bay. Cobb said that Baltimore made him feel that they needed him there and used the success he has had within the AL East as an example of why the Orioles were the best fit for him by remaining in the division. Cobb turned a qualifying offer of $17.4 million from the Rays last November, and Baltimore has pursued the pitcher from the beginning of the free agency market opening following the end of the 2017 World Series. Cobb said the Orioles did not stop bothering him the entire offseason. The career year for Cobb with the Rays was a comeback from the Tommy John surgery he underwent that kept him sidelined most of the prior two seasons. In 2016, Cobb was 1-2 with an ERA of 8.59 after he returned late in the season from the surgery that replacement a ligament. Cobb is ranked fifth all-time on the Rays for wins and second for ERA with a career record of 48-35 and an ERA of 3.50 across six seasons. The Orioles deal is the largest Baltimore has committed to for a pitcher in free agency of total value and average year value. Cobb joins Chris Tillman and Andrew Cashner who both signed in February in a rotation that has been completely revamped that will include holdovers Kevin Gausman and Dylan Bundy. Baltimore finished last in the AL East in 2017 with a record of 75-87. The Orioles open their regular season March 29 against Minnesota at home at Camden Yards, but Cobb will not be able to pitch that day. He will be sent to an affiliate in the minor leagues to build up his innings, but said he would push it as much as he could so he returns quickly. The free agent market during the offseason was very slow and several pitchers and position players have signed with new teams during spring training, which gives them limited time to prepare for the start of the season next week.